Mariceuticals Inc. | Hemp nanosheets could be better than graphene for making the ideal supercapacitor - Mariceuticals Inc.
As hemp makes a comeback in the U.S. after a decades-long ban on its cultivation, scientists are reporting that fibers from the plant can pack as much energy and power as graphene, long-touted as the model material for supercapacitors, according to David Mitlin, Ph.D.
Supercapacitors are energy storage devices that have huge potential to transform the way future electronics are powered. Unlike today’s rechargeable batteries, which sip up energy over several hours, supercapacitors can charge and discharge within seconds. But they normally can’t store nearly as much energy as batteries, an important property known as energy density. His process uses hemp bast fibers. 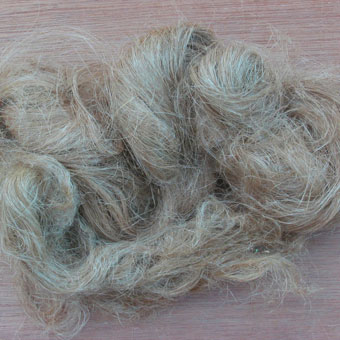 The fibers come from the inner bark of the plant and often are discarded from Canada’s fast-growing industries that use hemp for clothing, construction materials and other products. The US could soon become another supplier of bast. They’re presenting their research, which a Canadian start-up company is working on scaling up, at the 248th National Meeting & Exposition of the American Chemical Society (ACS), the world’s largest scientific society. Mitlin, who conducted the research while at the University of Alberta, received funding from Alberta Innovates Technology Futures, National Institute for Nanotechnology (Canada) and Alberta Livestock and Meat Agency.